Out With Age-Old, Ineffective Processes. In With New, Engaging Strategies. Everyone hates annual performance reviews. They’re ineffective, unproductive, and disengaging. In fact, more than three-fourths of disengaged organizations use the annual review as their primary method of performance management. 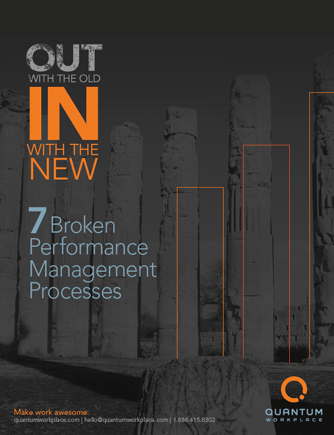 It’s time to leave the days of disengagement, unproductivity, and sub-par performance behind and join the 85 percent of highly engaged organizations that leverage much more effective performance management processes.